When we think about the heat during summer in Mumbai, we can only and only associate it with ice cream. Of course we have juices and milkshakes and other drinks to beat the heat, but ice cream has a sweet spot in my heart and I'm sure many of you would agree to the fact that ice cream is the go-to dessert post dinner. But if you're counting those calories and don't want to sacrifice on the summer body, you're in a dilemma between wanting to enjoy a double scoop chocolate explosion and wanting to be healthy. Well, there's some good news for health conscious foodies! 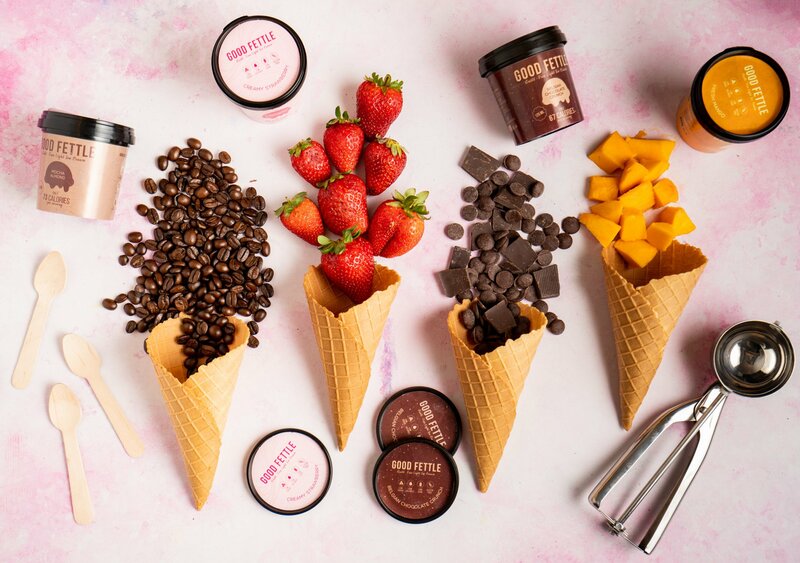 Good Fettle, which launched in Mumbai earlier this month, is Asia's first Low Calorie Healthy Ice Cream. 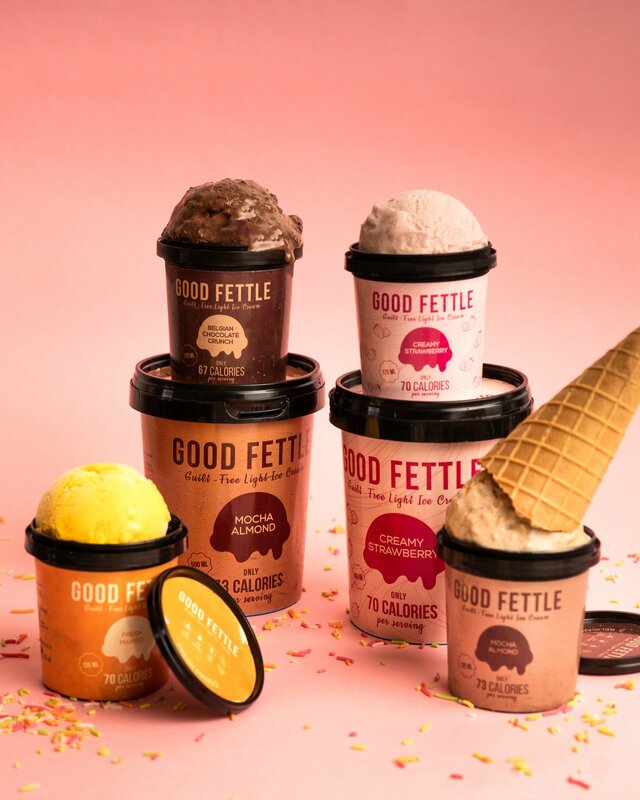 Good Fettle taps into the demand from health conscious consumers by offering an alternative that is just 70 calories per scoop but still feels indulgent as it’s made with fresh cream. It is packed with prebiotic fibre, making it the perfect light yet delicious ice-cream. Good Fettle is significantly lower in calories, carbs, sugar and fat percentage compared to all other brands available in the market today along with being gluten free. While other ice cream companies add as high as 5 spoons of sugar per cup, this one manages to extract maximum sweetness with less than a spoon of organic cane sugar. Good Fettle is here to fill a void in the dessert and 'after-meal' market segment whose only mission is to; To provide people with a Guilt-Free Indulgence. With a high quality product available at an affordable price, this ice cream is delightful and incredibly healthy. We are thrilled to introduce Good Fettle - Asia’s low calorie ice cream to all the ice cream/dessert lovers in town. We have made a conscious effort to use organic and natural ingredients to ensure people get the best ice cream experience. From our milk to fresh cream, all ingredients are natural, fresh and of highest quality that are highly digestible and our all the flavours are diabetic friendly. The biggest challenge we faced was to create the same level of creaminess as a high fat ice cream without increasing the calories. Everyone including industry veterans had us convinced that it was not possible and hence it’s never been done before in the country. We took this up as a challenge, formulated our own proprietary recipe and we are proud today to deliver a rich creamy experience in a low fat, low sugar and low calorie natural ice cream. These will be served and available in retail stores across the city.